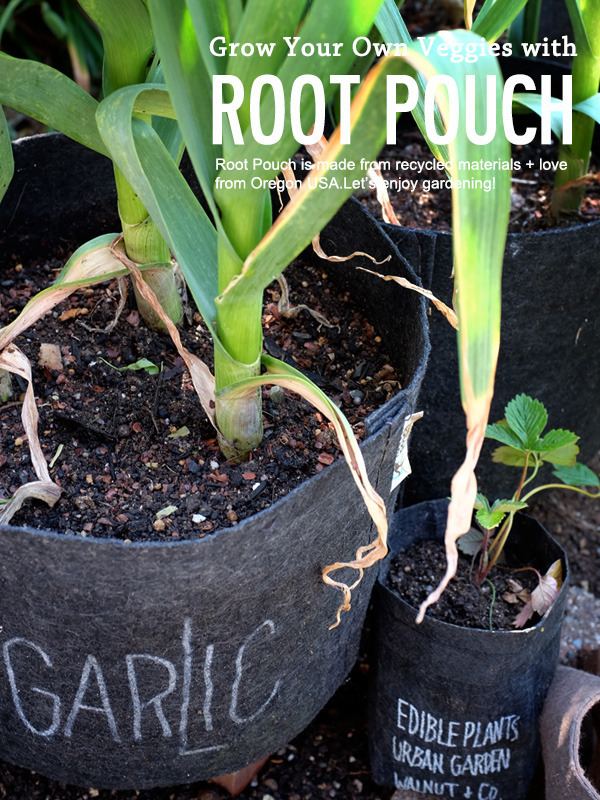 GROW YOUR PLANTS with ROOT POUCH! 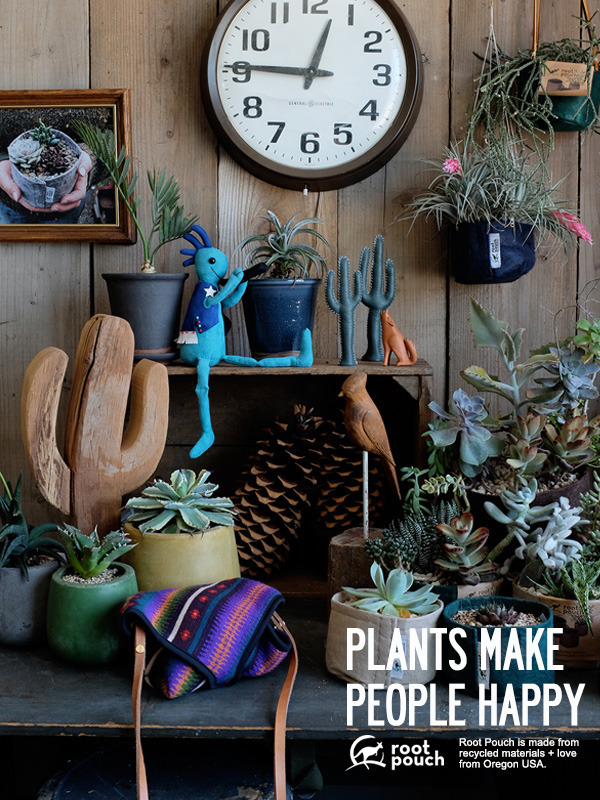 GROW & EAT WELL, BE HAPPY! 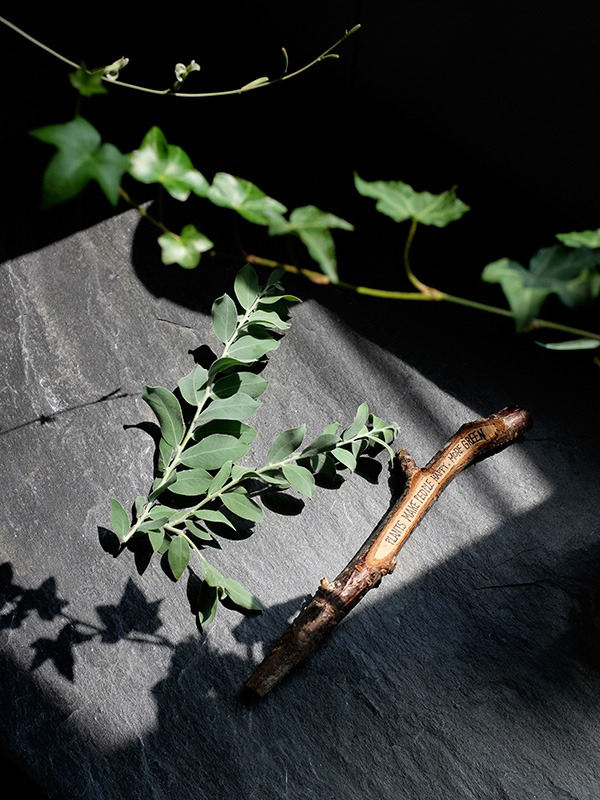 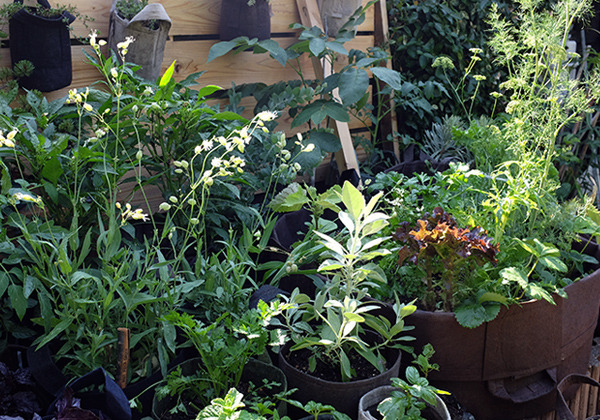 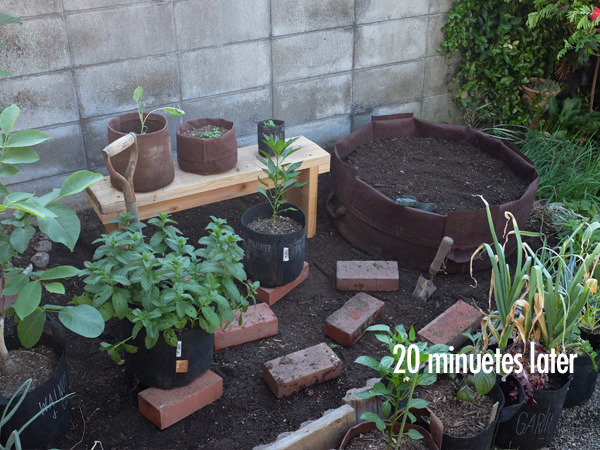 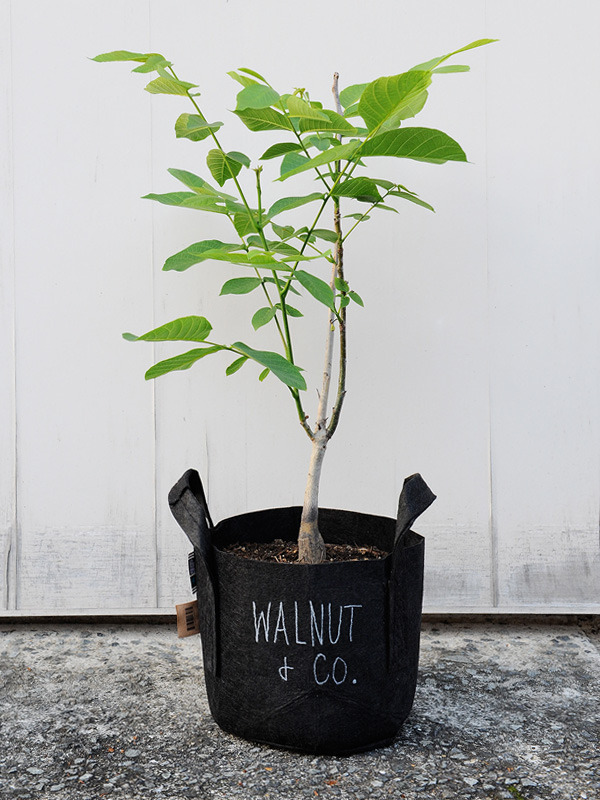 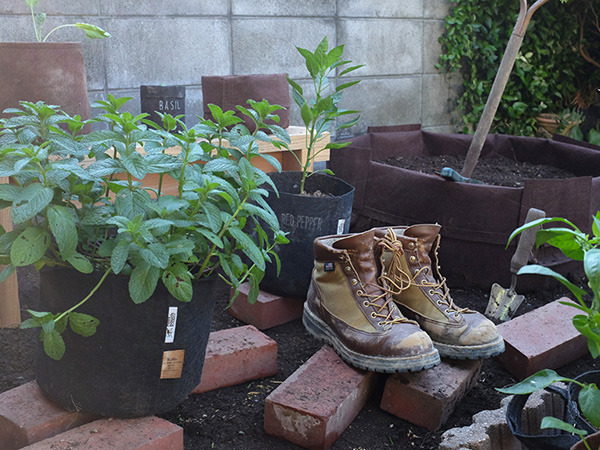 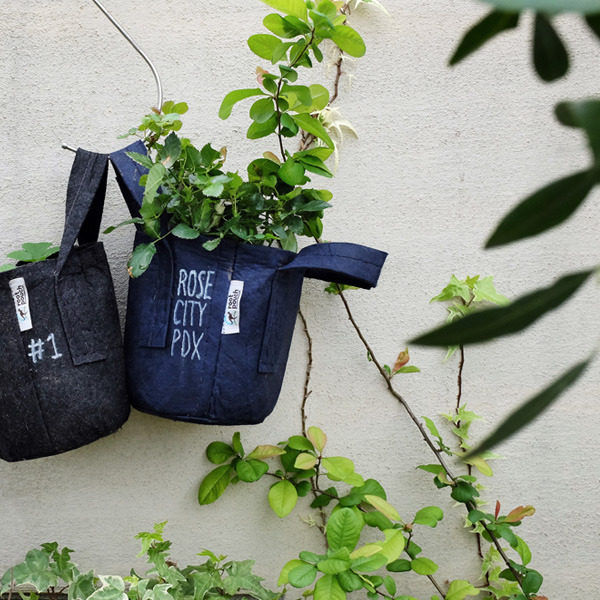 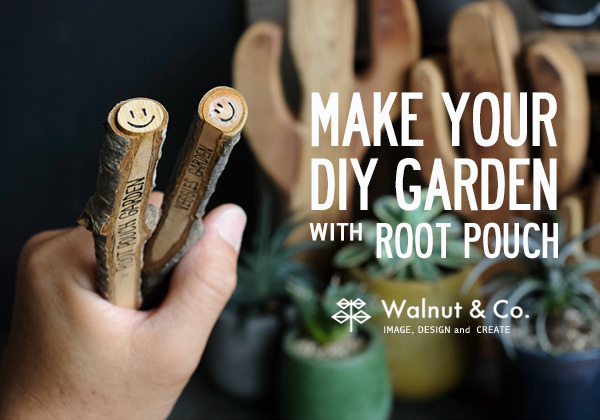 Enjoy DIY Gardening with Root Pouch! 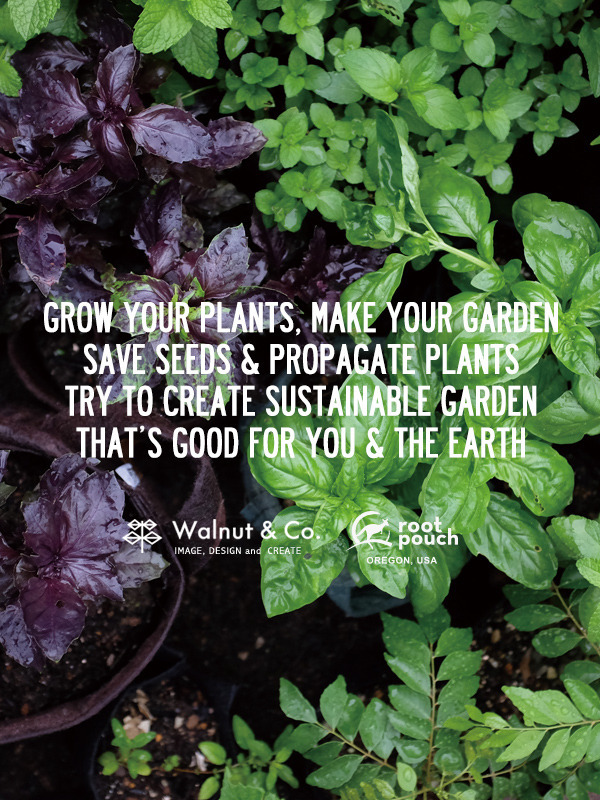 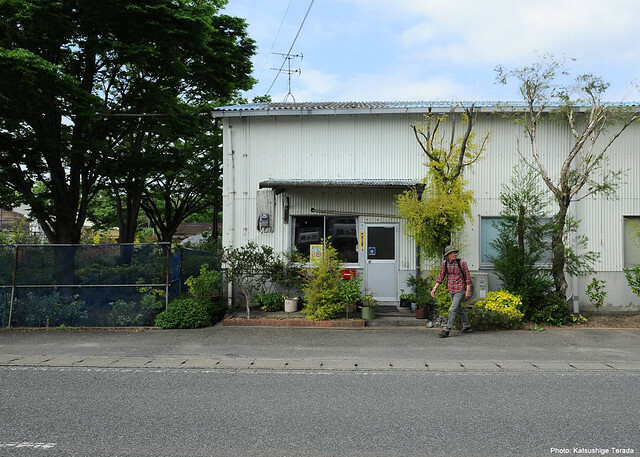 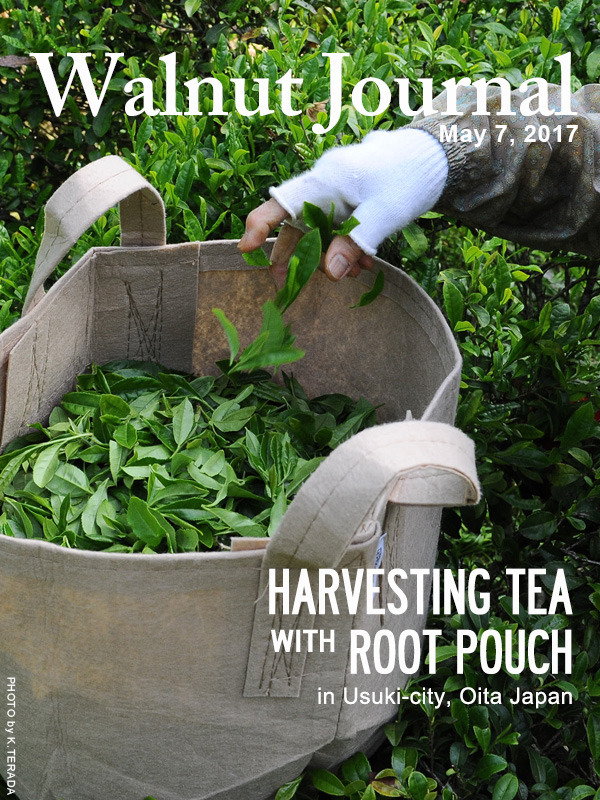 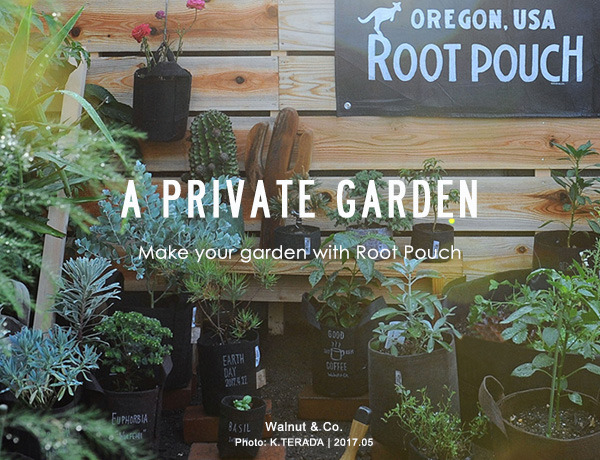 ENJOY GARDENING with ROOT POUCH! 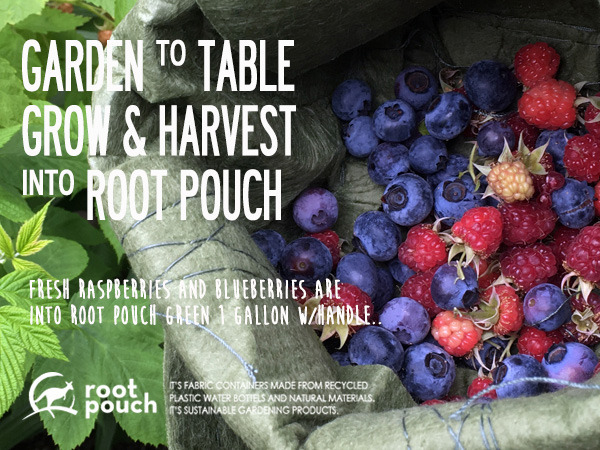 Raspberries and Blueberries into Root Pouch Green 1 gallon w/handle. 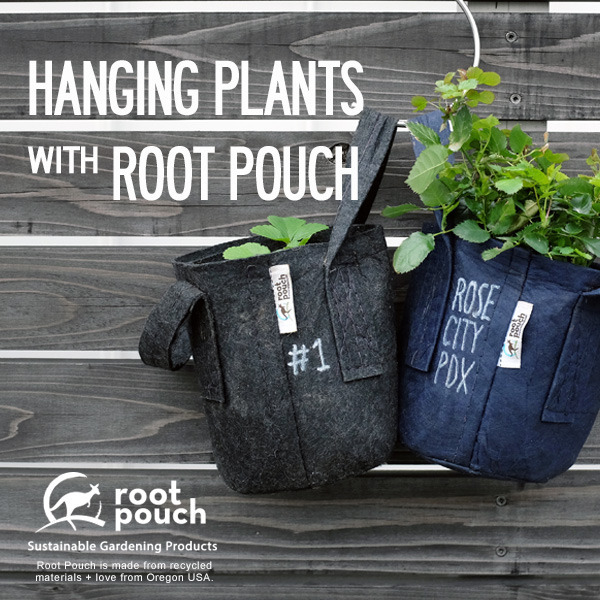 GROW YOUR PLANTS & HARVEST with ROOT POUCH! 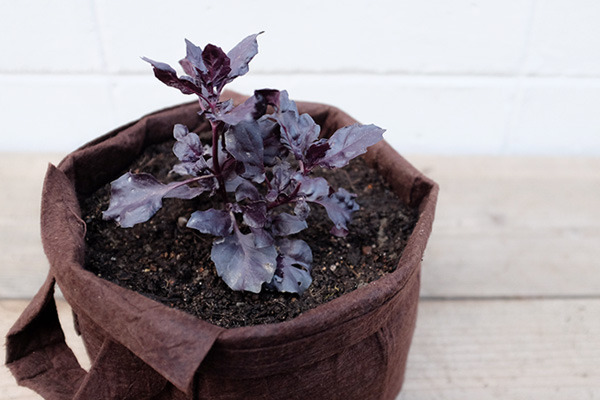 Purple Basil into Root Pouch Brown 2gallon with handle. 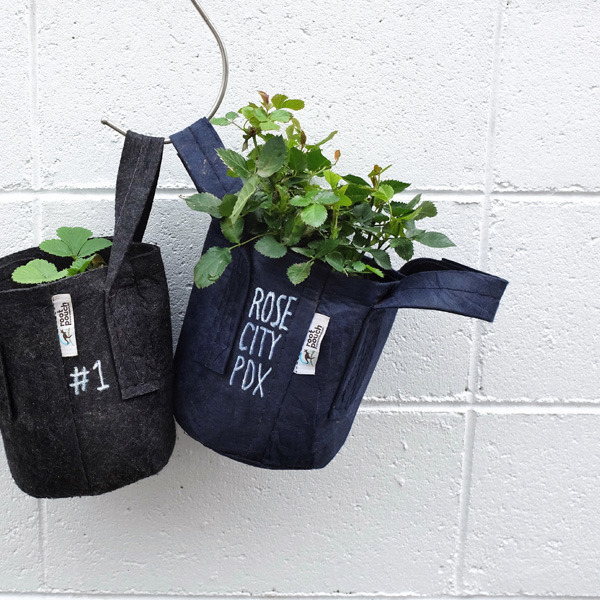 GROW YOUR HERBS into ROOT POUCH! 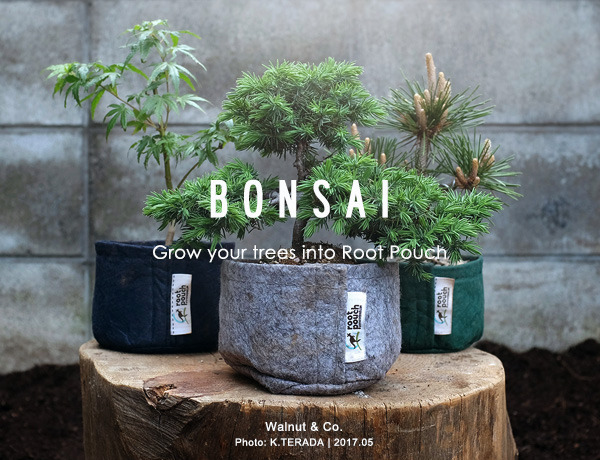 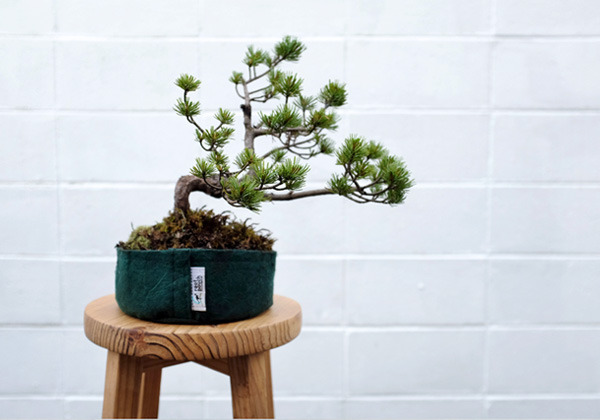 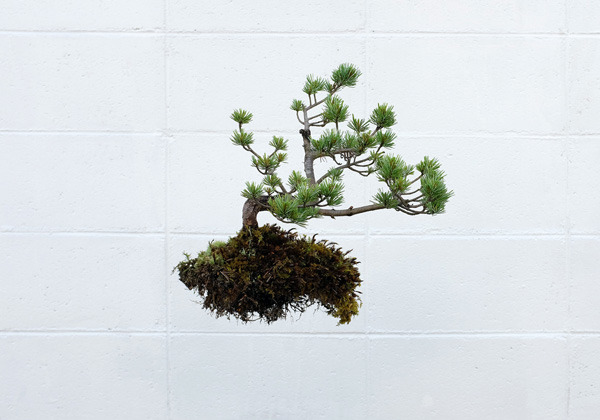 JAPANESE PINE into ROOT POUCH "JILL"
GROW YOUR TREES with ROOT POUCH!! 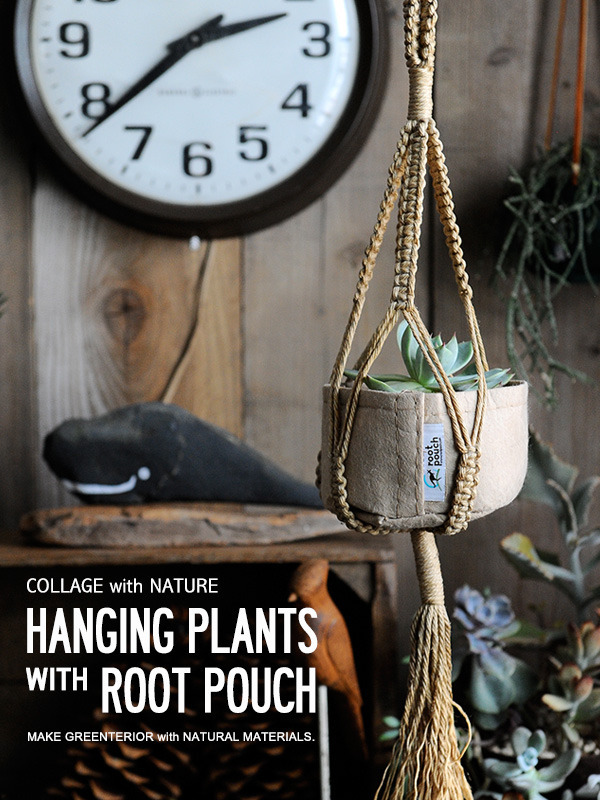 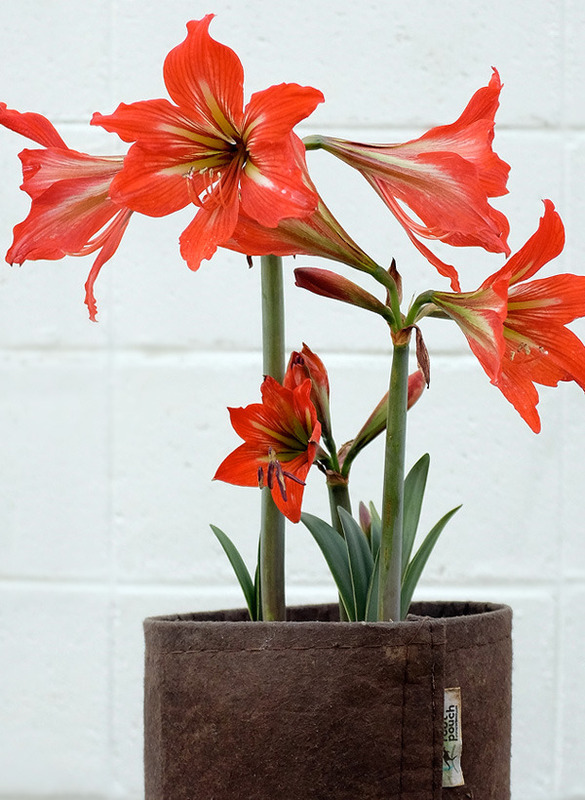 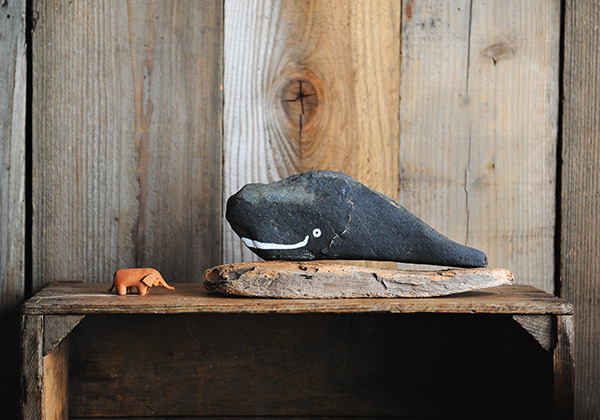 "LEATHER ELEPHANT & STONE WHOLE"
GROW YOUR PLANTS into ROOT POUCH!! 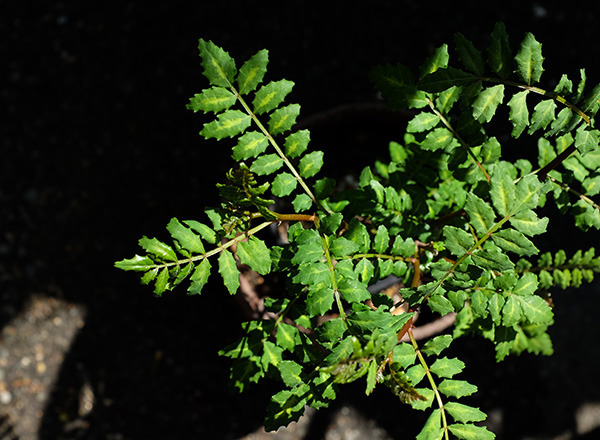 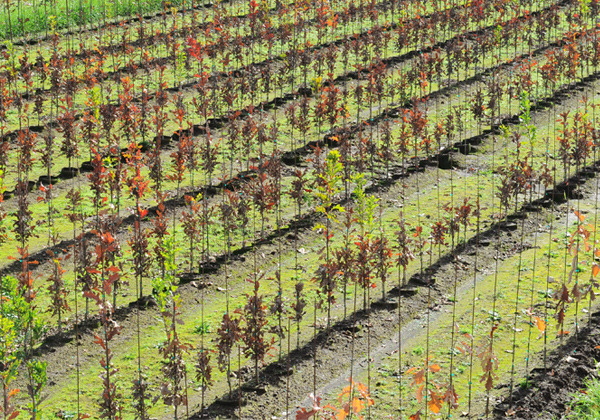 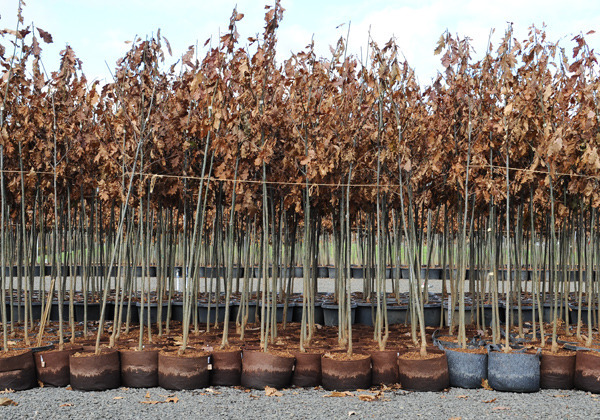 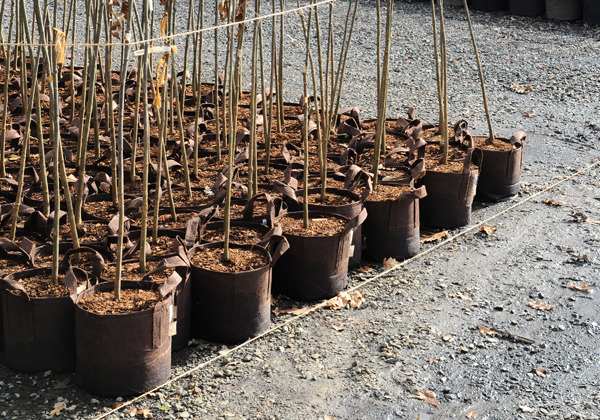 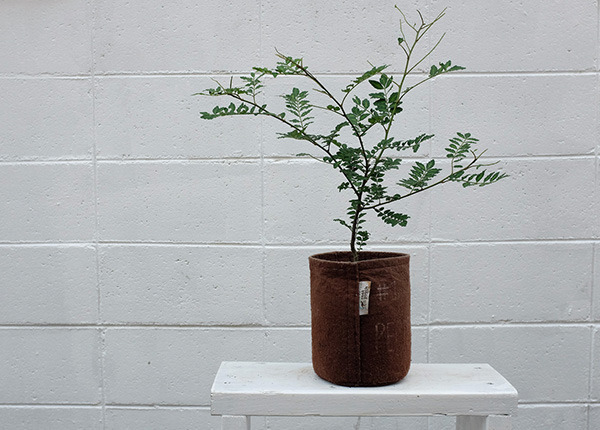 Trees into Root Pouch "JOEY"
GROW YOUR TREES into ROOT POUCH. 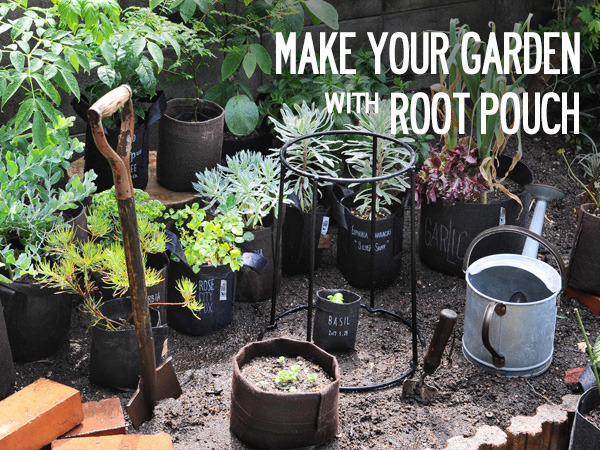 MAKE YOUR ROOT POUCH GARDEN! 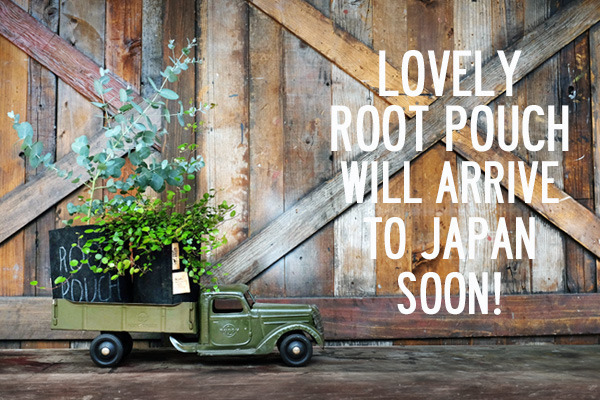 ENJOY GARDENING with ROOT POUCH!! 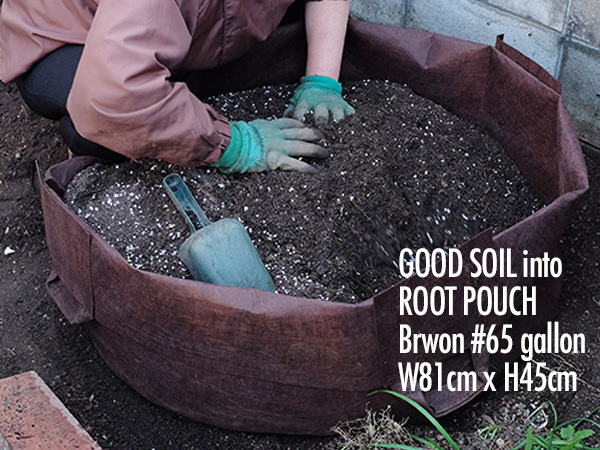 GROW BIG with ROOT POUCH!! 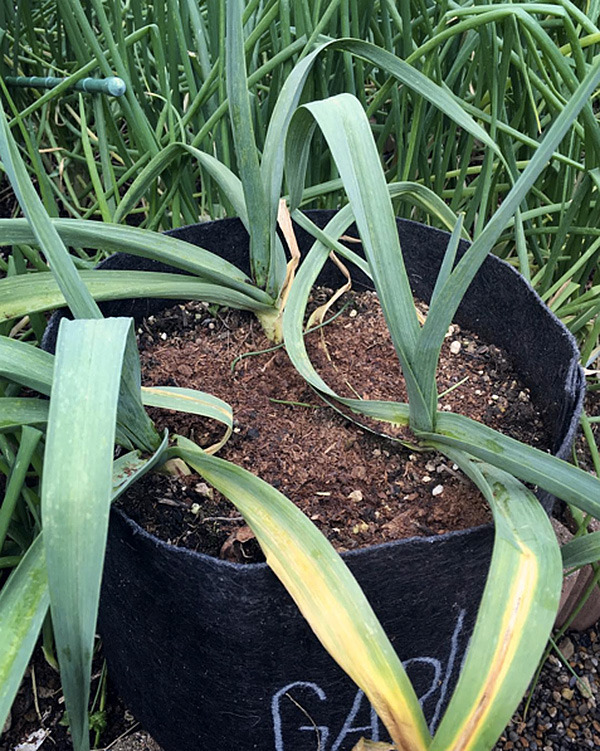 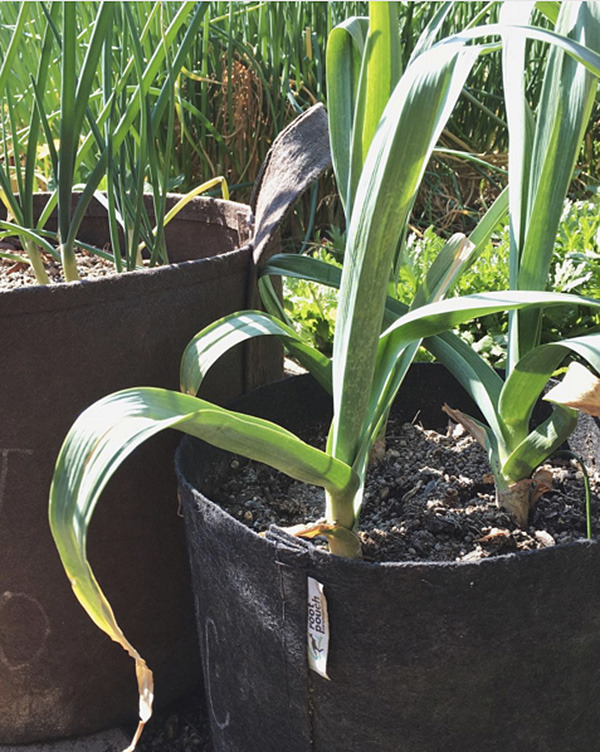 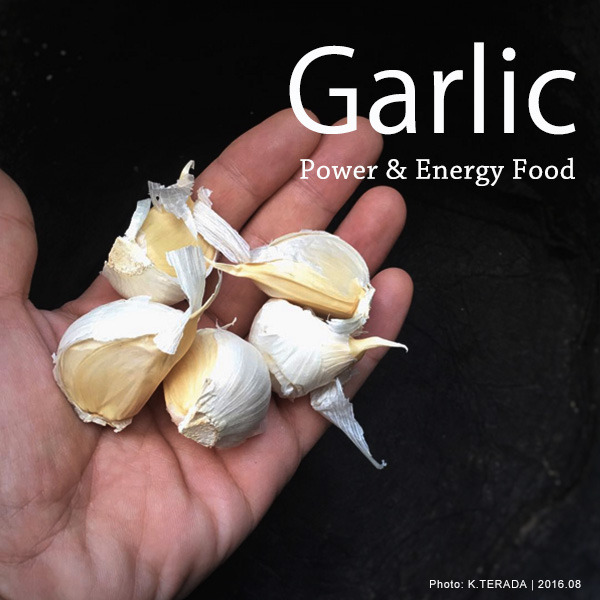 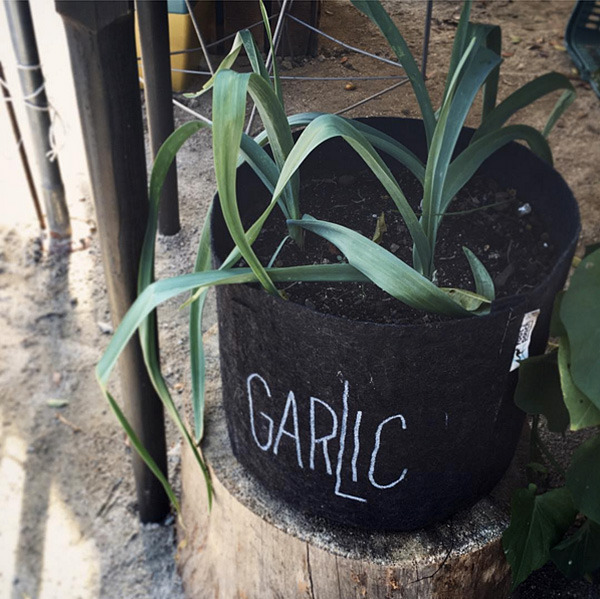 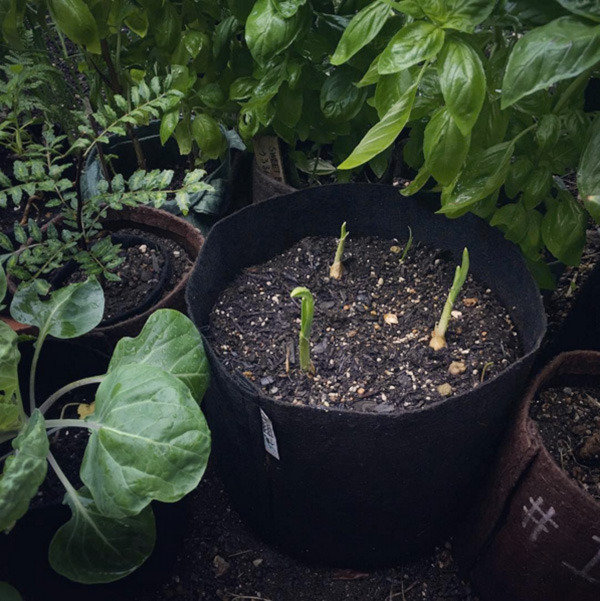 Garlic into Root Pouch Black 3gallon without handle. 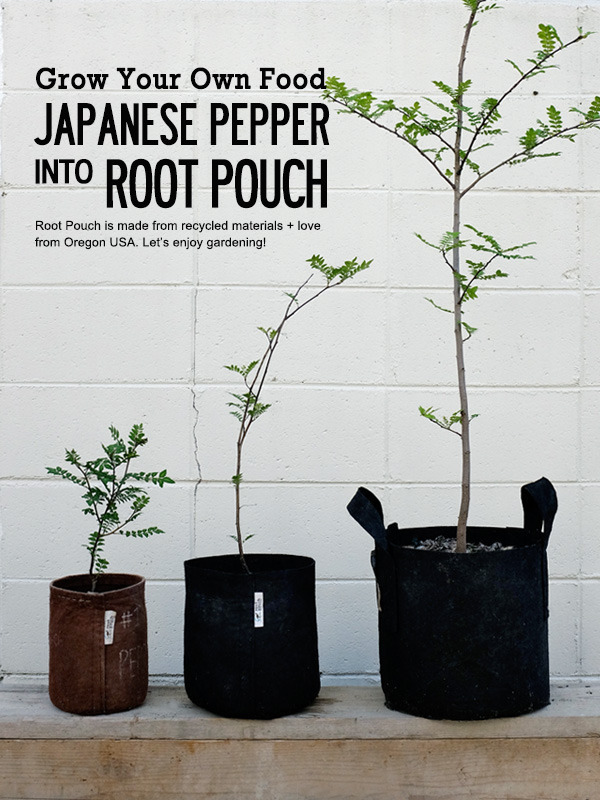 Japanese pepper into Root Pouch #1, #2, #3 gallon. 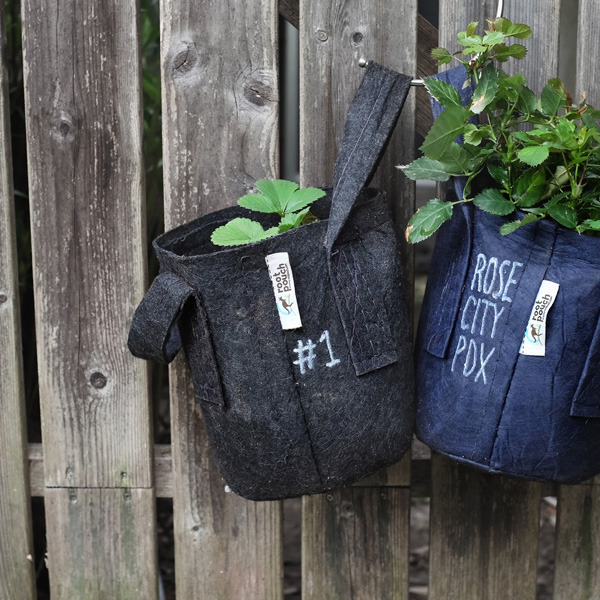 Wild Strawberry and Roses into Root Pouch 1 gallon with handle.